Under Family Sponsorship Canada stream, you can sponsor a foreign spouse or partner to become a permanent resident if you are at least 18 years old and you are a Canadian citizen, a Canadian permanent resident, or a person registered in Canada under the Indian Act as an Indian. If you have fallen for a British citizen, this guide will help you understand the marriage and sponsorship process. Since you will be coming from outside the EAA (European Economic Area) and Switzerland, you will be subject to immigration control and you will need a visa before you can get married or form a civil partnership (civil unions are allowed in Great Britain). Note Canadians do not normally need visas when visiting the UK (for short tourism stays and business trips under 90 days), but they need one when they wish to get married. To get into Great Britain for the wedding, you could apply for a Marriage or Civil Partnership Visitor visa if you plan to stay in the country for less than 6 months or a family of a settled person visa if you plan to stay more than 6 months. You could include your dependent children in the Marriage Visa applications. You must give at least 28-day notice to the designated register office. You must have lived in England or Wales for at least a week to give the notice. A Canadian citizen’s notice can be extended for 70 days because you will be from outside the EEA or Switzerland. You will be notified of the extension within the 28 days. Documents required are proof of your identity (name), date of birth, nationality, and physical address. 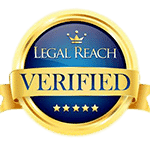 Marriage certificates are the legal documents that show you are married. These can be issued by a civil registrar who sits in a civil register office or a Church of England clergyman sitting in a parish church. The certificate will show the marital status of the bride and groom, their full names and age, and the date of the marriage. The whole thing costs £35 if your immigration documents or passport tally with what you have provided and £47 if they do not. You will need to fill out the relevant Family Sponsorship class forms. Consider hiring a lawyer because missing even the smallest detail could lead to your sponsorship failing to go through. The processing time is usually 10 to 12 months. You could place an eTA application for your spouse or partner if you want him/her to visit you while the sponsorship is being processed. Other than ensuring your application form is filled properly, a lawyer will also guide you on how to ensure your British marriage is watertight and he will assist you to get all the other paperwork. 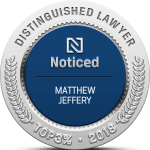 At the Law Office of Matthew Jeffery, we have been assisting clients sponsor spouses and partners for many years and we have a very high success rate. 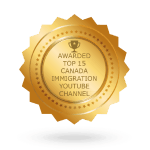 Visit us today or call us on 416-944-3267 for a FREE assessment from a spousal sponsorship immigration lawyer.